Tony Prendergast at his home in Crawford, Colorado. 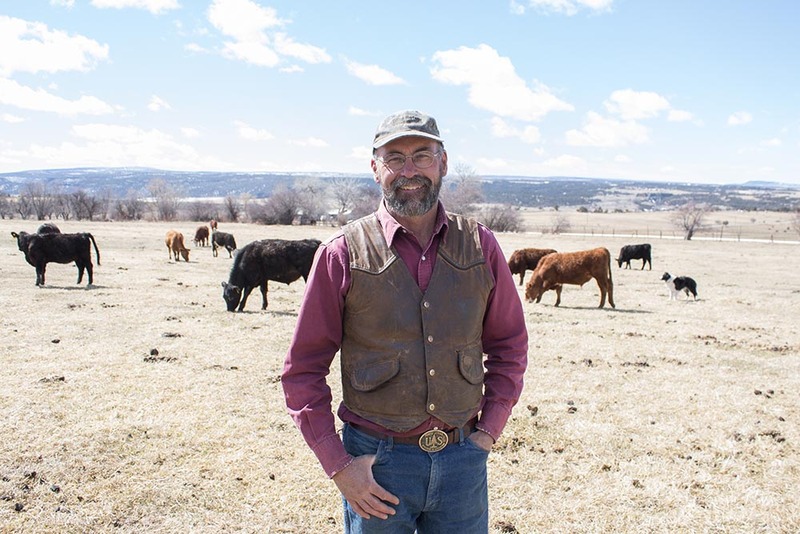 “The original idea was to have four shareholders who owned the ranch equally but ideally have it so that people had different interests or different ways of using the land,” said rancher and outfitter Tony Prendergast at his home in Crawford, Colorado. Today, 20 years after that initial idea, XK Bar Ranch is cooperatively owned by Tony and four friends. It was always Tony’s dream to make a living on the ranch. “I wasn't able to make a living on the place for a long time. I had to go off and get other work as an outfitter, and it'd take me away for long periods of time,” said Tony. The average cost to start a new farm or ranch equates to roughly $3 million in just land and equipment. The average U.S. farm operates at a net loss, and has so for years. Most farms and ranches require someone in the family to bring home off-farm income to keep the operation afloat, as well as provide health insurance for the family. Tony kept his operation manageable while he learned the markets. “I just kept it at a level where I could learn and not sink myself for a few years,” he said. Cattle on pasture in Crawford, Colorado. Cattle on pasture at XK Bar Ranch in Crawford, Colorado. 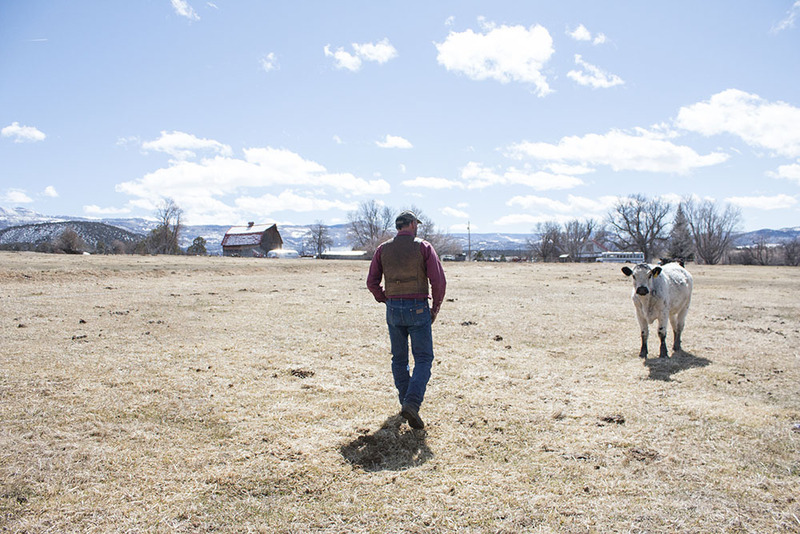 Federal agriculture policy is starting to follow the lead of ranchers like Tony. The Conservation Reserve Program (CRP), for example, is beginning to allow more opportunities for sustainable grazing. The CRP, a 20-year-old program written into the Farm Bill, pays farmers to take some farmland out of production in order to plant things like cover crops, native grasses, and windbreak or shade trees. Those conserved acres provide habitat for local wildlife and native ecosystems for pollinators. Traditionally, grazing has not been an acceptable purpose on those lands, but Senators like South Dakota’s John Thune, have championed the issue at the request of the Western Organization of Resource Councils. Now, the same ecosystems that supported bison for centuries, are being reintroduced to non-intensive cattle grazing. Tony explains that there is a huge connection between the food that we eat and the health of the land. Tony’s cattle play right into that system. “You are what you eat. I think that what we eat is a very powerful connection to a place and also to healthy foods and a healthy environment. That's one of the most fundamental things humans do that affects the environment is eat.” Tony asks that consumers be informed in their purchasing of food, to support local, sustainable food sources. Tony and a calf on pasture in XK Bar Ranch in Crawford, Colorado. “Cattle get maligned for destroying everything from the climate, to the earth, to wilderness areas, etcetera,” said Tony. “It's not the cow that’s the problem, they're just a large grazing animal. It's the management of cattle that is where the negative impacts come from..” says Tony.